Success in the value-based care (VBC) arena depends on the help of an extremely smart population health management (PHM) platform — one that is driven by advanced intelligence housed in a business rules engine. Yet, many health plans overlook the importance of a business rules engine when investing in a PHM platform, a potentially costly mistake that can worsen performance. Read this white paper to learn why Jiva has the best rules engine in the industry and how it will help your organization rise above VBC challenges. Vendors providing services to Medicare Advantage (MA) members are known as FDR’s: first-tier, downstream, and related (FDR) entities. With each year that passes, the list of FDR vendors grows, which creates new challenges. Adding vendors and services makes the sponsor’s job of coordinating care more complex. Also, operational compliance becomes difficult when dealing with a plethora of moving parts. Read this white paper to learn how Jiva helps MA plans overcome these challenges and improve overall care management. As baby boomers age and technological innovations give the disabled and elderly greater independence and longevity, the need for long-term services and supports (LTSS) continues to grow. But, striking the right balance between care quality and financial viability is far from easy. Read this white paper to learn how Jiva helps health plans overcome various LTSS challenges, connecting the diverse networks of LTSS caregivers in the home and community while making care economics sustainable over the long term. The annual cost of readmissions for Medicare is about $26 billion while avoidable readmissions cost Medicare almost $17 billion in excess spending. With the rising desire of commercial plans; Medicare Advantage plans; and health systems to engage in value-based contracts, it is imperative that health plans and providers work together to reduce readmissions. Read this white paper to learn how collaboration is possible and why it serves as a first step forward. Behavioral health (BH) conditions affect a significant percentage of the country’s population. Despite this prevalence, many BH sufferers remain undiagnosed or unable to obtain appropriate care. But—with the right solution—greater health is possible. Read this white paper to learn why health plans managing BH need a robust solution that facilitates interdisciplinary and cross-organizational coordination while seamlessly aggregating and reconciling patient information from disparate sources.. Even though the use cases and benefits of integrating clinical data are relatively clear, the pathway for effectively implementing a clinical data integration strategy can be challenging. Learn the top five obstacles health plans face when integrating clinical data and potential solutions for overcoming them. Payers have been relying on claims data for care management, but the process is limiting. Incorporating EHR data will greatly improve care plans and care management. Read how innovative technology helps payers access, ingest, aggregate, and integrate clinical data to enrich care plans for better population health management. As health systems assume more care management responsibilities in value-based arrangements, a centralized platform with comprehensive care management capabilities can accelerate their success. Learn how fourth-generation interoperability solutions that focus on clinical/financial systems integration, population health management, and performance management offer the greatest promise for overcoming interoperability obstacles and efficiently transitioning to value-based care. Discover how integrated patient assessments can help you understand the whole patient for more impactful care plans, increased engagement, and improved outcomes. Learn how the predictive power of advanced predictive analytics creates value and raises ROI for healthcare organizations in the value-based care paradigm. A complimentary white paper defining the industry shift to value-based care models. Learn how integrating MTM better positions you for success. 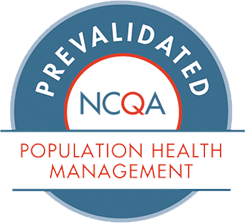 Is Your Population Management Platform Ready for the New Medicaid and Duals Regulatory Environment? Shifting regulatory requirements mean healthcare organizations need proven, flexible technology solutions that can easily adapt to accommodate change. Learn why traditional predictive analytics are not enough for modern healthcare.